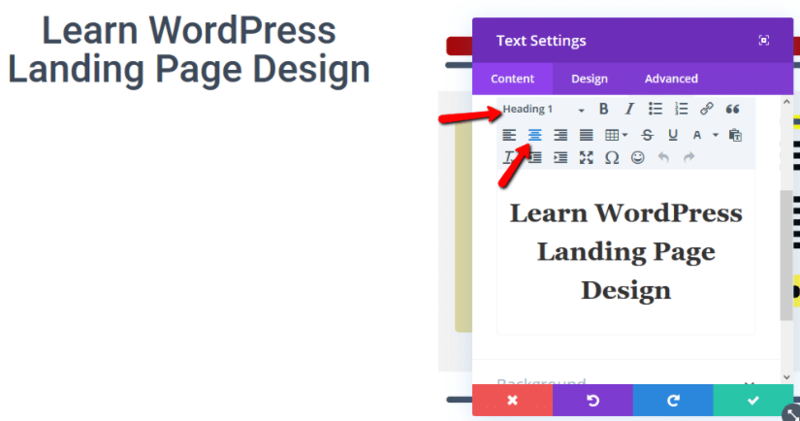 The WordPress Editor is great for a lot of things, but building landing pages is not one of those things. 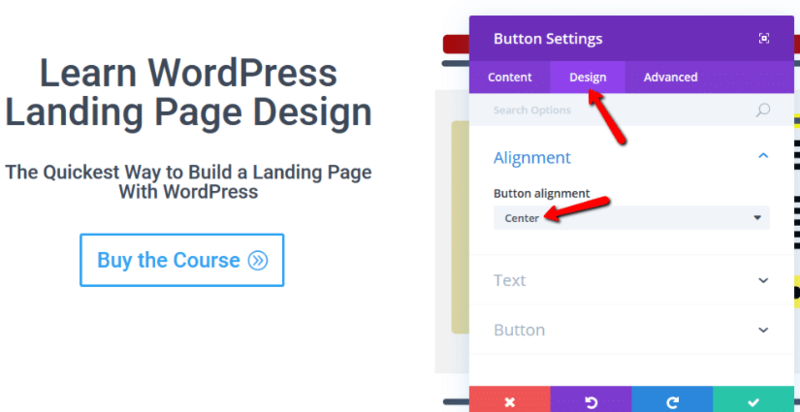 So if you want to build a gorgeous, highly-converting landing page on WordPress, you’ll need another tool. 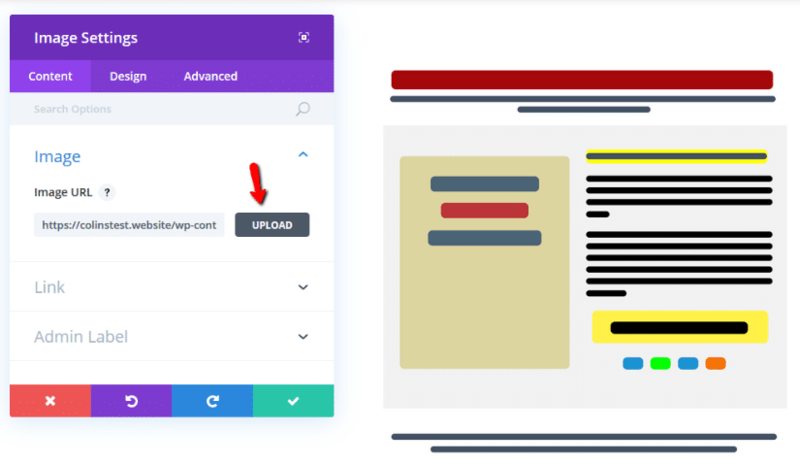 That’s why I’m about to show you how to build a product launch page with Divi Builder in this post. 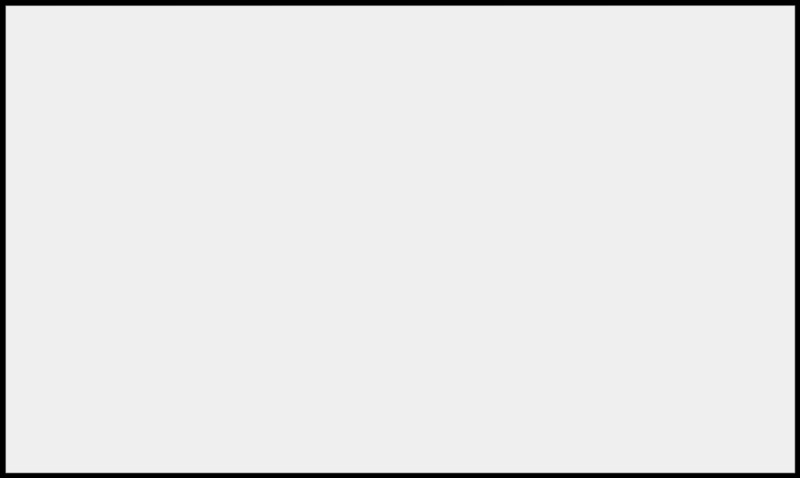 Here’s a step-by-step guide for going from blank canvas to finished landing page, complete with 25+ screenshots. 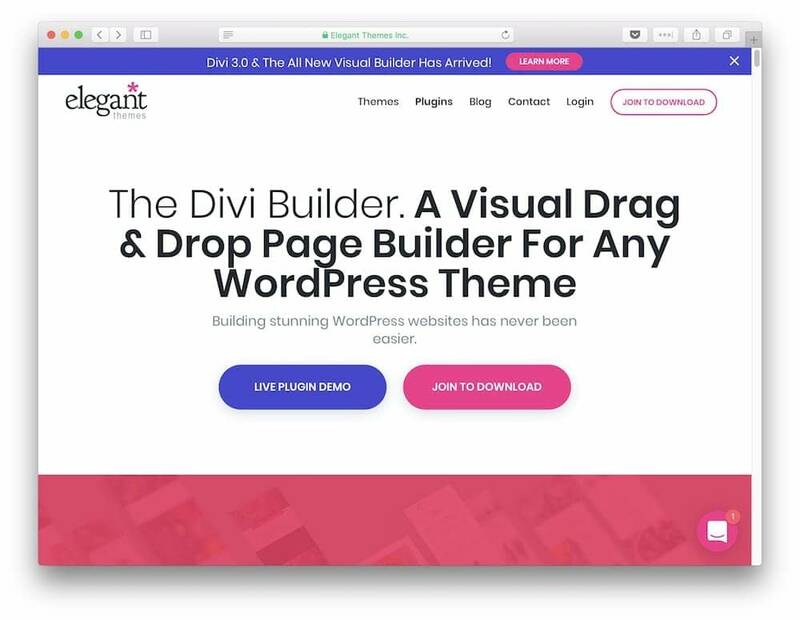 All you’ll need is the Divi Builder plugin (or Divi theme), as well as your choice of WordPress theme. 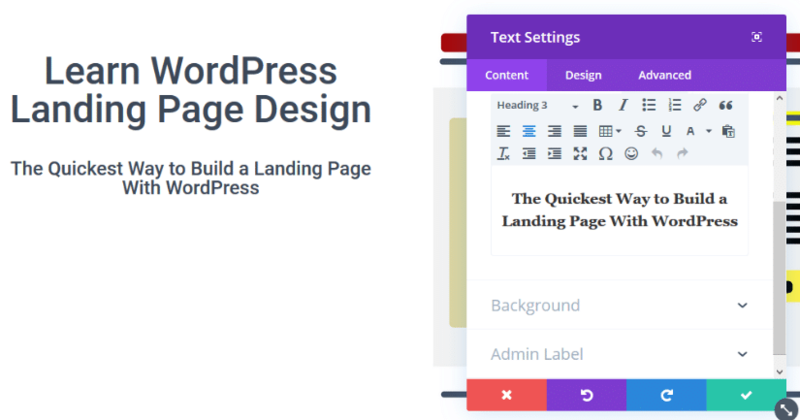 Ready to build a product launch page with Divi Builder? Let’s go! You can always get more creative with different colors, styling, or more elements. But that’s just a quick-and-dirty look at how you can build a product launch page with Divi Builder in under an hour. Why should you build a product launch page with Divi Builder? 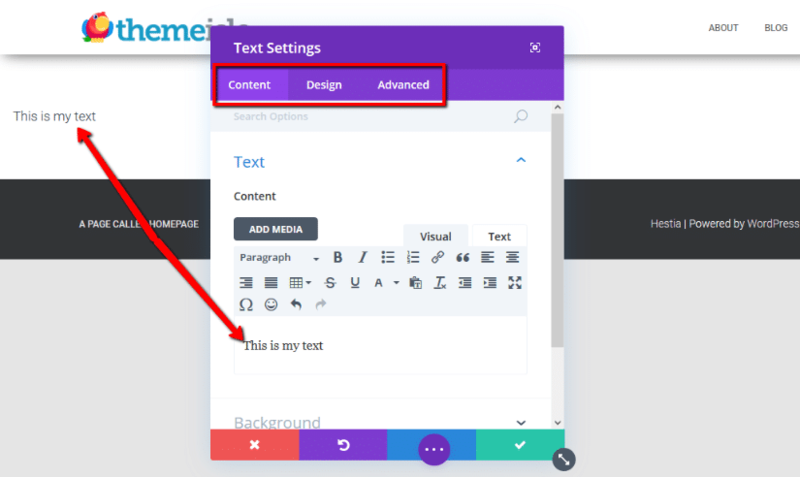 We’ve already covered how you can build landing pages with Elementor, as well as with SiteOrigin page builder. So why are we throwing Divi Builder into the mix? Because, like those two other solutions, it’s a massively popular visual drag and drop page builder. That means you can build complicated landing pages and launch pages without ever needing to look at code. Beyond that, Divi Builder is developed by a company called Elegant Themes, which has built a massive community of helpful Divi users. That means you can find tons of neat extensions and third-party help if you ever hit a wall. 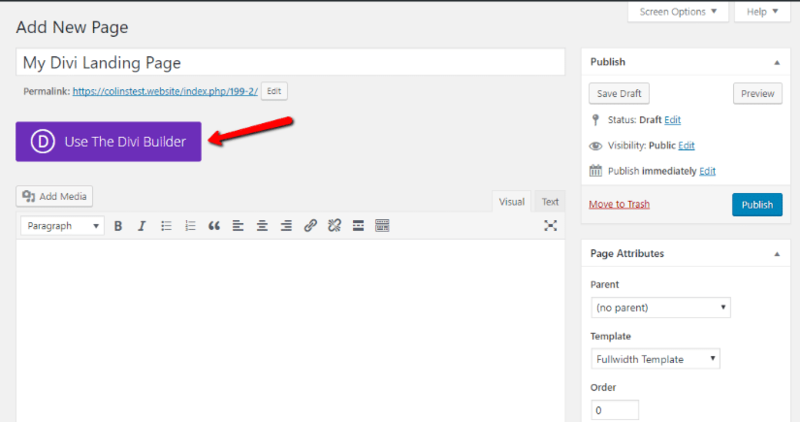 Because it’s a plugin (plus there’s a theme version as well), it works with all WordPress themes, including all the ThemeIsle WordPress themes. All the designs that Divi Builder creates are responsive. That is, they look good on mobile phones and tablets. Basically, as long as you know the basic design concepts behind a landing page, you have the power to build a product launch page with Divi Builder. Ok, let’s dive in and build something! 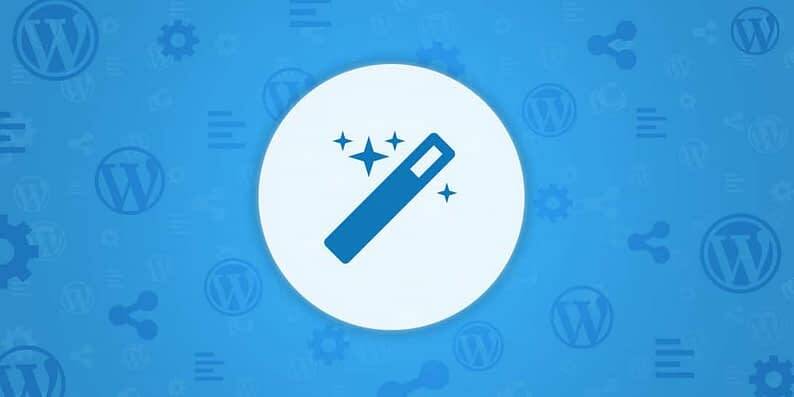 Divi Builder is exclusively a premium plugin, so, if you haven’t already, you’ll need to purchase the plugin at Elegant Themes to continue with this guide. To do that, you have to purchase the entire Elegant Themes membership for $89. 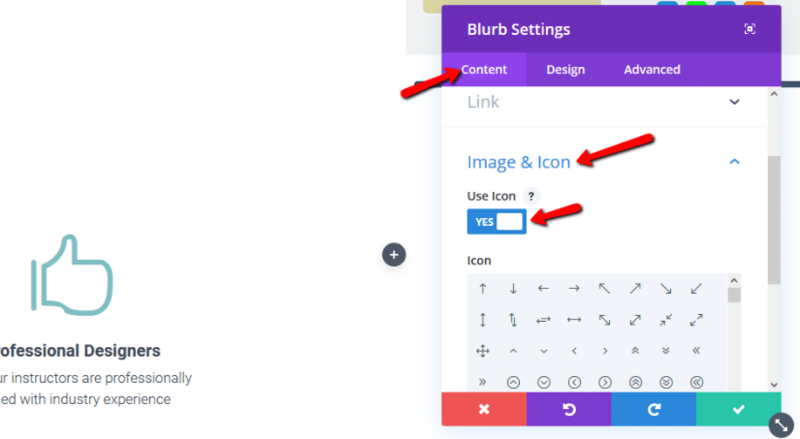 For that reason, you can also use the Divi theme and still follow along with this guide if you’d prefer. I won’t be doing that for this guide, though. 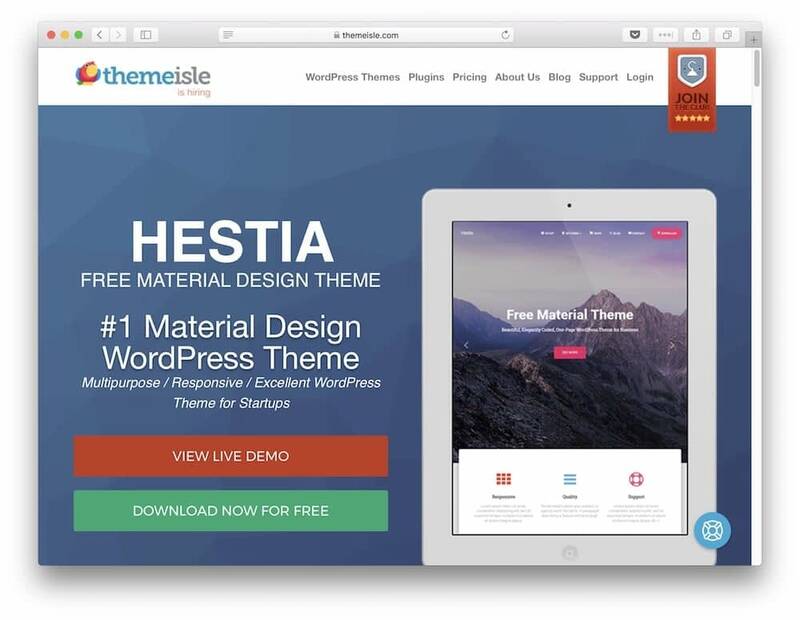 Instead, I’m going to use the free version of our Hestia Theme. Again, you can use whichever theme you prefer. 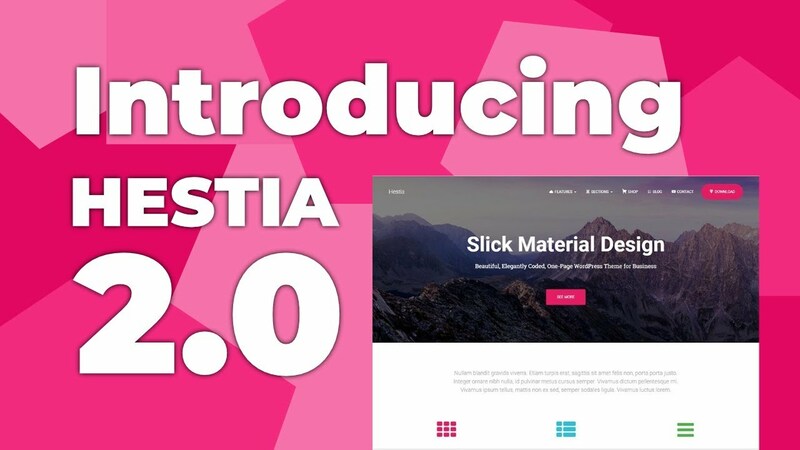 I’m just opting to use Hestia because I know it includes page templates that make it easy to build a landing page with Divi Builder. 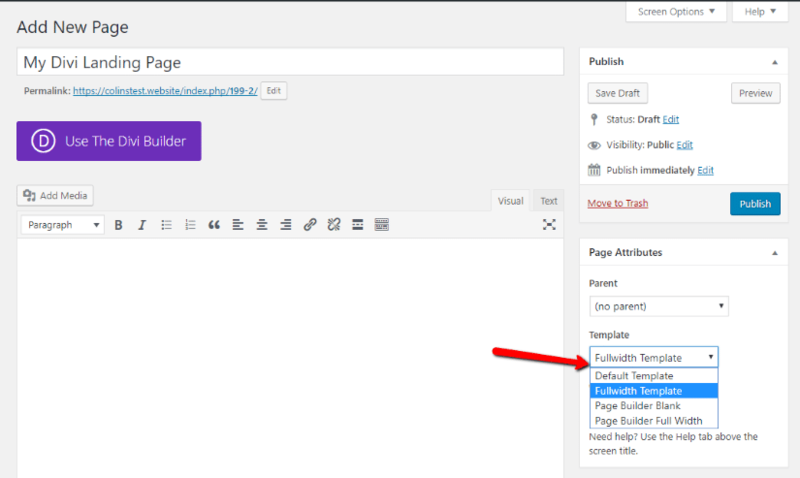 Page templates are what determine the basic layout of your page. Essentially, they define the “canvas” that Divi Builder is allowed to work in. 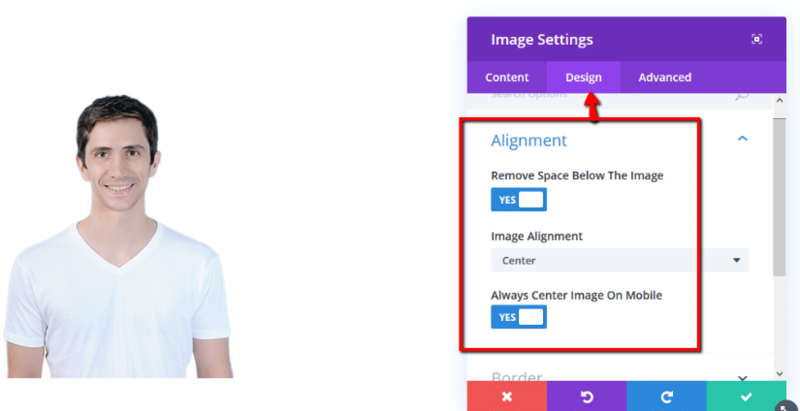 Because you want to give Divi Builder free reign to style the page without your theme’s sidebar potentially getting in the way, it’s important to choose a full-width template. If your theme doesn’t offer a full-width template, you might want to consider choosing a theme that’s a bit more modern! 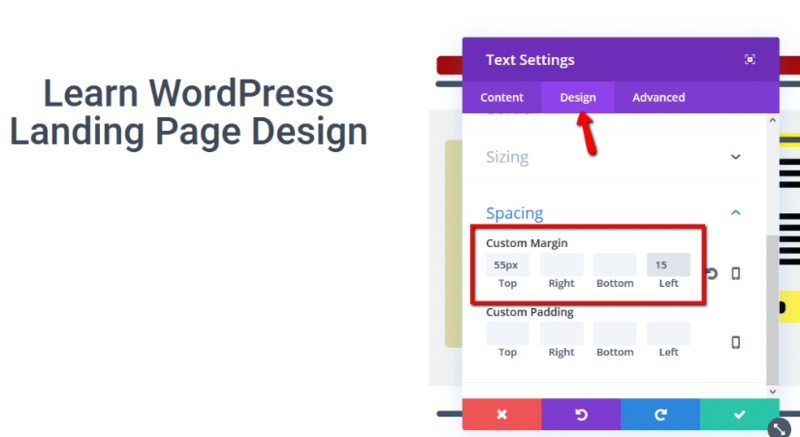 The full-width template still uses your normal WordPress header area, so don’t worry about losing out on a cohesive navigation structure. 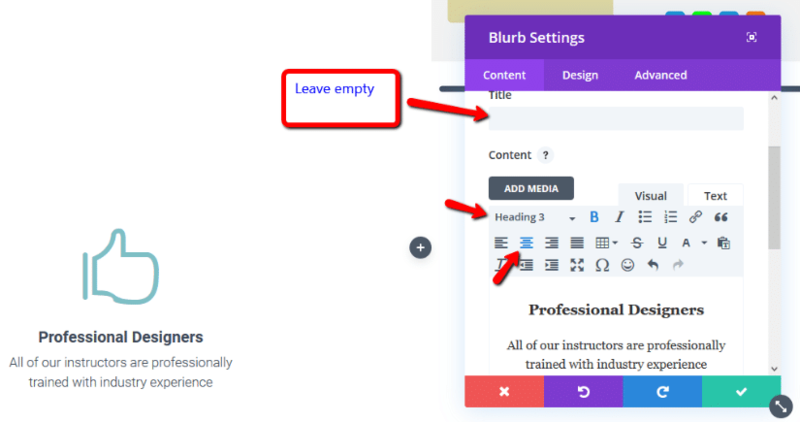 Make sure to click the Save Draft button after choosing your template. This is important so that Divi Builder uses the proper template when we load it in a second. 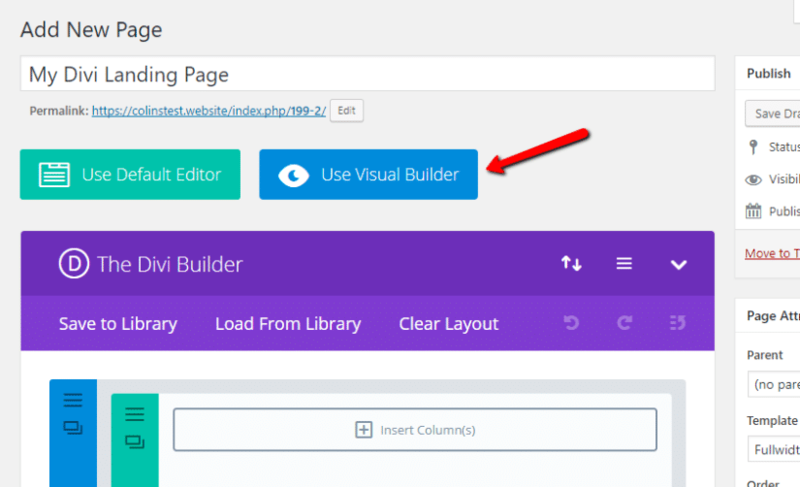 While you can use either to build a product launch page with Divi Builder, I find the visual builder to be more intuitive for most users, so that’s what I’ll use for this guide. 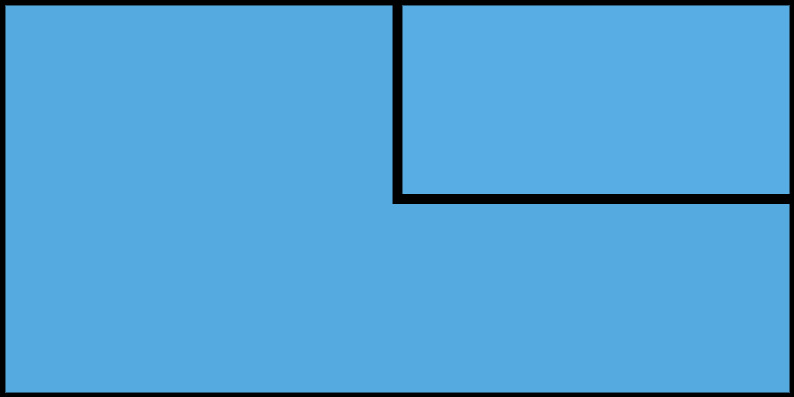 Blue – designates sections, the largest content holder. Green – designates rows. Rows go inside sections. 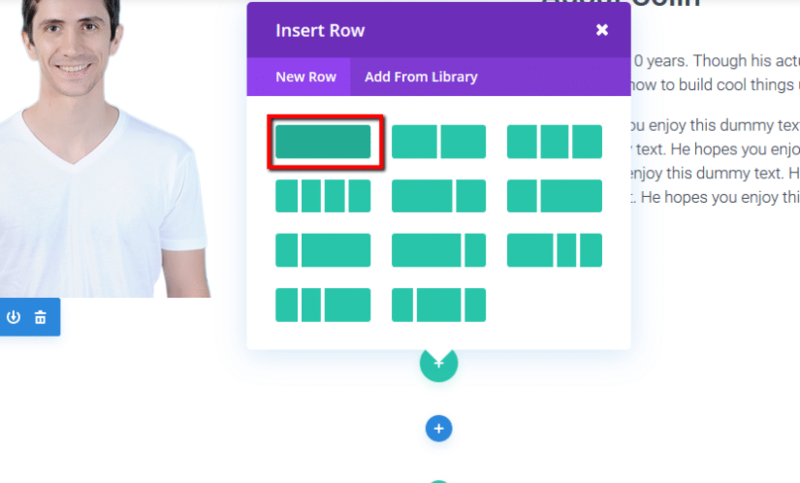 You can have multiple rows in one section. Black – designates modules. 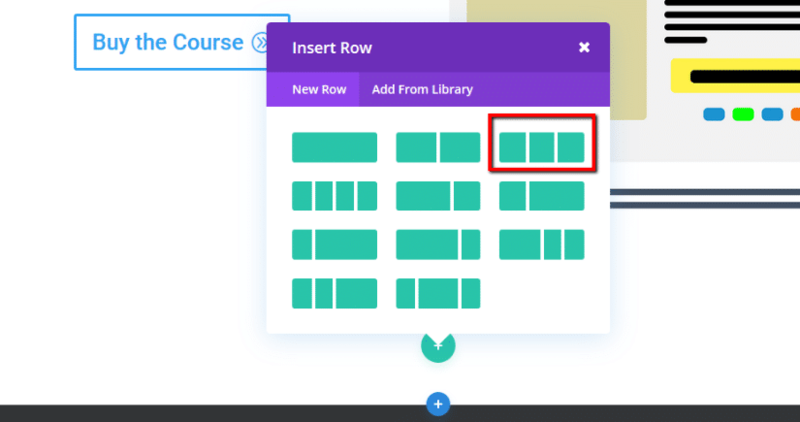 Modules are individual content pieces that go inside rows. You can have multiple modules inside each row. 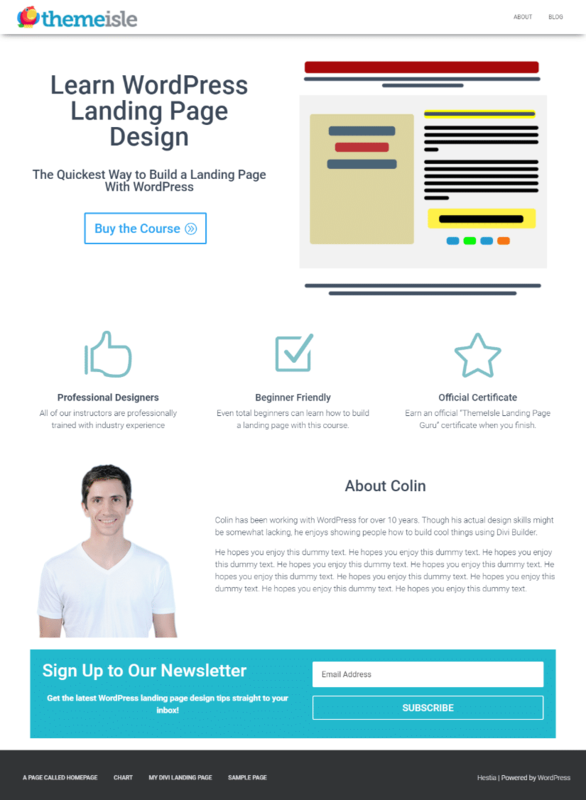 Now that you’re in Divi Builder, it’s time to choose the actual basic structure for your landing page. Just like with writing, it helps to have a rough “outline” of your page in mind before you get started. I’ll follow that structure for this guide, but you can always make adjustments if you’d prefer something else. Because the example includes four different content areas, we’re going to use four of those blue sections in Divi Builder. Before I start digging into the actual tutorial, let me give you a quick run-down of how the Divi Builder interface functions. Also, remember that each element fits “inside” the other one. 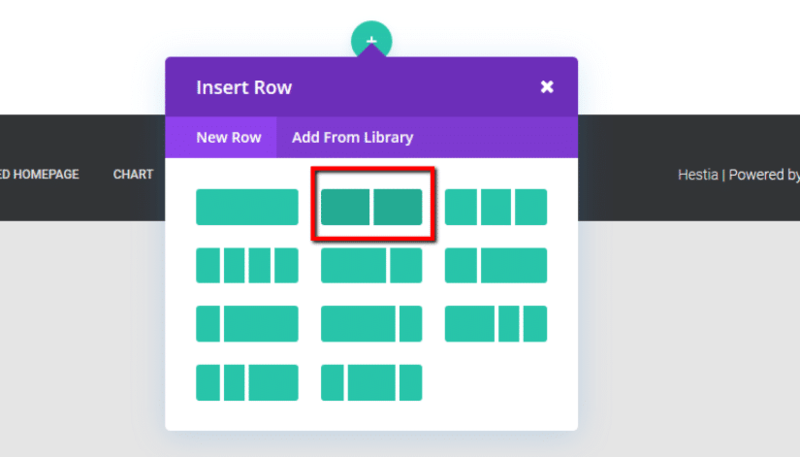 For that reason, you’ll only see the black Insert Module button if you’ve already put a row inside your section. That is, you can’t add a module directly to a section. Notice how there are three tabs at the top? 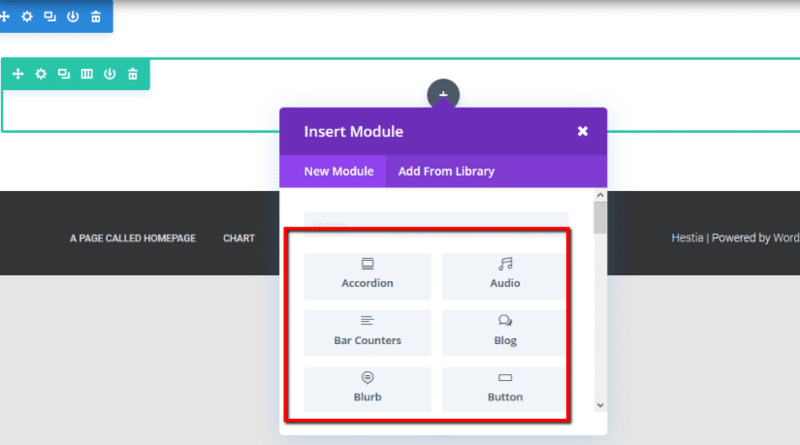 That’s important because it allows you to customize styling, spacing, and more for each module. You can use these settings to fine-tune your design. This is important because sometimes you’ll need to adjust a section or row’s spacing manually to make the design look perfect. 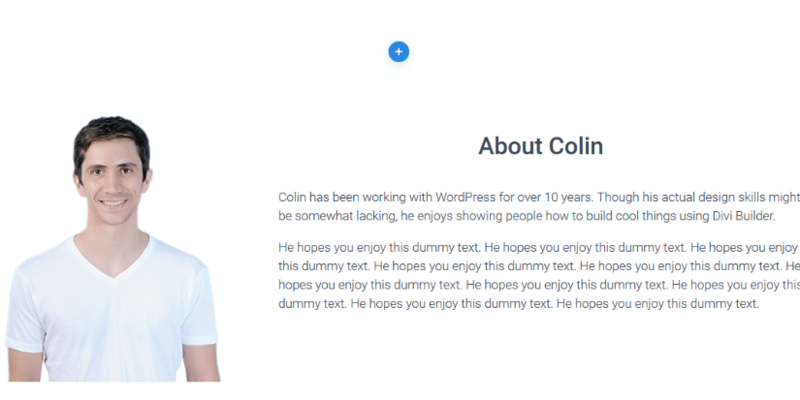 Ok – that should give you a basic understanding of the interface – now let’s build a product launch page with Divi Builder! And there we go! We have a finished headline section. Next up, let’s build the feature list section. To do that, add a completely new Section by clicking the blue “plus” icon. And that wraps up our feature list section! To build the “about” section, we can use pretty much the same approach as we did for the header section. You might want to play around with the positioning to get it looking perfect. And that’s it! We’re on the home stretch. Guess what! 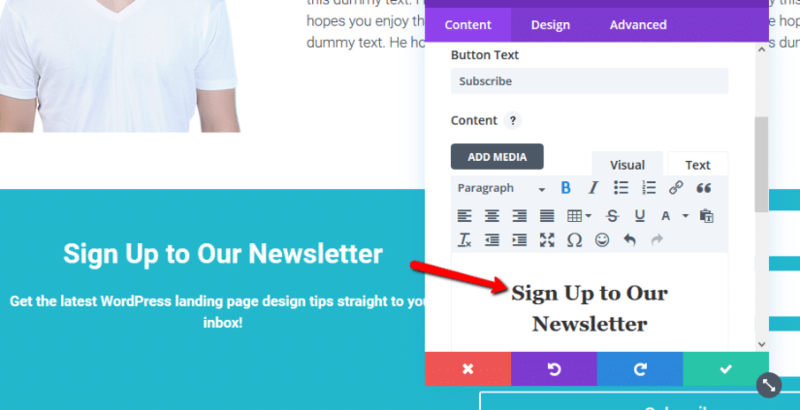 Divi Builder includes a pre-built email opt-in module. That makes this section pretty simple. Modules like this one are one of the reasons it’s so easy to build a product launch page with Divi Builder. Congrats! You just learned how to build a product launch page with Divi Builder. The only other thing I did to make my page look the way that it does is add a short CSS snippet to reduce the spacing between my different Divi Builder sections. This is optional, but I think it looks a better with less space in between sections. 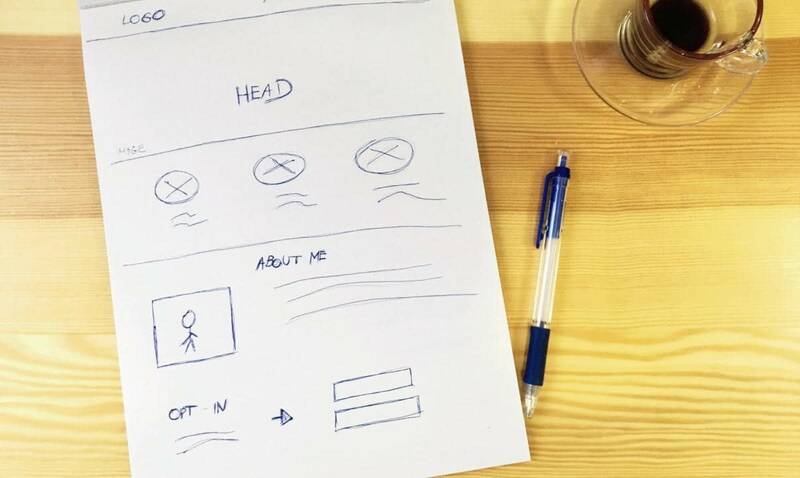 If you want to turn your product launch page into your site’s homepage, all you need to do now is set up a static homepage. Now get out there and build your page!